A couple days back I read this article on Medianama which shared that Amazon will soon go live in India as a marketplace with Junglee.com, but a tweet today morning announcing that Junglee.com is live caught me by surprise. Amazon, of course was expected to test waters in India this year but the whole junglee.com gig is away from most people’s anticipation of how it will all unwrap. Amazon for the records is the the biggest global e-retail/e-tail giant which posted $17.43bn in revenues in last quarter of 2011 (35% more than the revenue for same quarter in 2010). The company net sales were up 37% compared with 2010. There was a lot of speculation particularly for the last six months about Amazon’s entry to India. Amazon as countless sources have shared, already have development centers in India and had started looking for talent for their fulfillment capabilities. As per the current regulations Amazon is not allowed to open an online Multi-brand retail store, and can not make FDI in India except for a single brand retail business, thus Junglee. 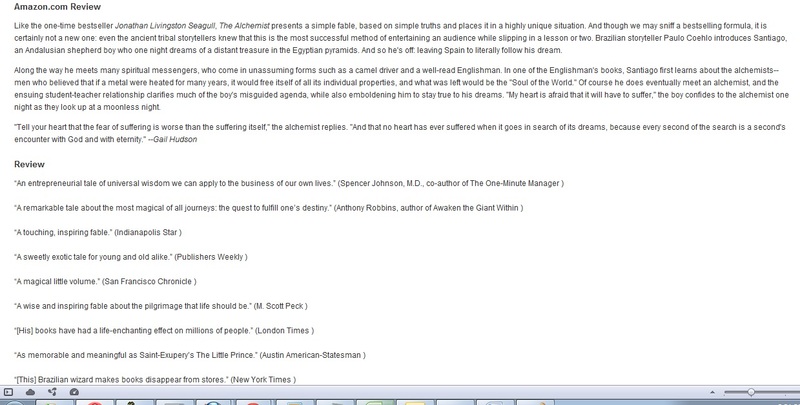 Just one book, also I am not sure why am I being shown featured jeans when I categorically chose books. Bugs. Junglee.com for now has about 5 sellers for Books which includes names that probably feature towards the middle(and bottom) spots of a list of top 10 online booksellers in India. Almost everything from the list except Flipkart and Infibeam can be expected to list here. 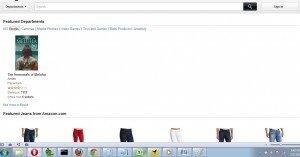 Junglee let’s online and offline retailers to list themselves and their catalogues for free and without any ongoing commission. What it means for suppliers (especially small time indies) is that they get a chance to drive traffic and sales from Junglee’s visitors and will convert some customers to direct. Over a period of time as in an online marketplace set up their ratings and reviews will determine how they fare in the long run. The picture however isn’t all rosy. 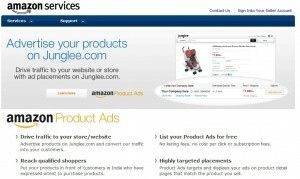 For established players like Indiaplaza (unless there is some non-compete or alliance agreement) registering on Junglee will give them a temporary boost in terms of both traffic and eventually sales but once Junglee starts running it will break its shackles and given them a run for their money by listing Amazon.in as the default/first choice as a buyer. Once that happens the customers will make the switch to Amazon (in place of a retailer they found a few months back) with the blink of an eye. Junglee.com is another (but branded) shiny object for the scores of people who spend hours daily on the interwebs tweeting or facebooking. They know have one more place to spend time and compare prices. It will be helpful in finding alternative vendors for particular categories and helpful in finding product categories that have been literally out of the online sphere, stuff like Pet Supplies. Within a span of months you’ll find dozens of people selling Pet Supplies and the likes on Junglee. What this means is that consumers won’t have to wait for their favorite e-commerce site to add some category or a stand alone/vertical service around the category to launch. To begin their tryst with India Amazon is trying to be the front end(influencer) of the purchase funnel in stead of starting being a back end service provider. It wants Indians to log on to Junglee.com to begin their shopping journey (they can or cannot decide to buy from Amazon) but eventually they’ll make it their in house offers compelling enough to get a huge chunk of the pie. Here’s how it could unfold for Amazon. 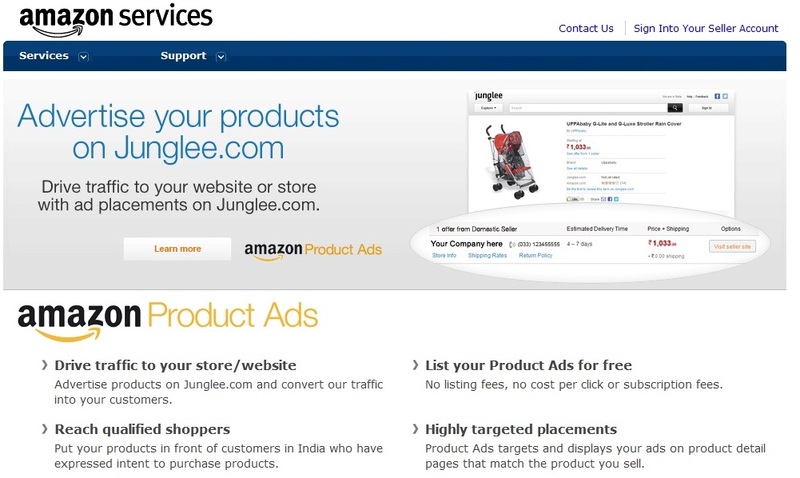 Junglee is essentially the market place of Amazon.com abstracted and launched a special business for legal and other reasons. 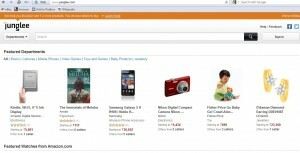 In Amazon.com’s marketplace lot of vendors put their goods on sale and do most of the fulfillment too. 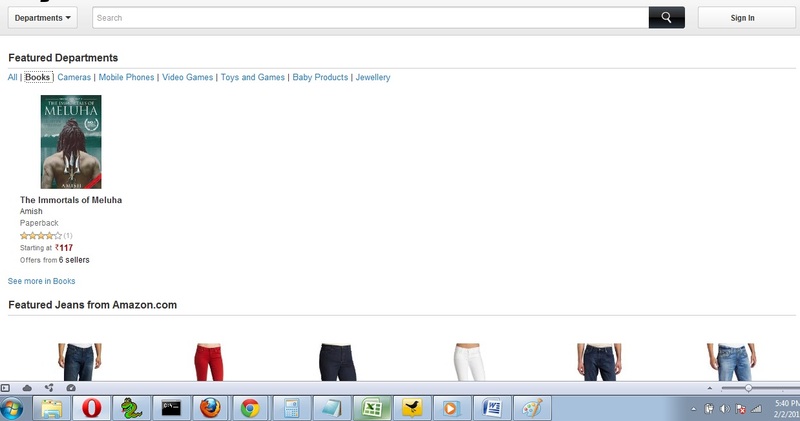 Amazon however displays their products and collects the payment from customers (Think Ebay). Junglee will create an incoming line for new retailers to tie-up. Retailers will flock and list products instead of the company finding them using direct/in-direct modes of advertising or marketing. Having said all of that, Junglee is an interesting piece in the Indian e-commerce puzzle and it will definitely have an impact on the existing market leaders. Most Indians from what I understand would give an arm(or probably) a leg to switch to another cheaper vendor especially if it has Made in America tag on it. 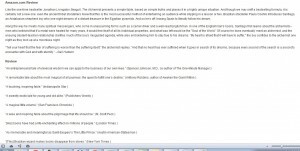 This entry was posted in books, brands, Strategy and tagged amazon, amazon.com, flipkart, india, infibeam, junglee, junglee.com, marketplace, medianama, online, pluggdin, retail on February 3, 2012 by mayank.